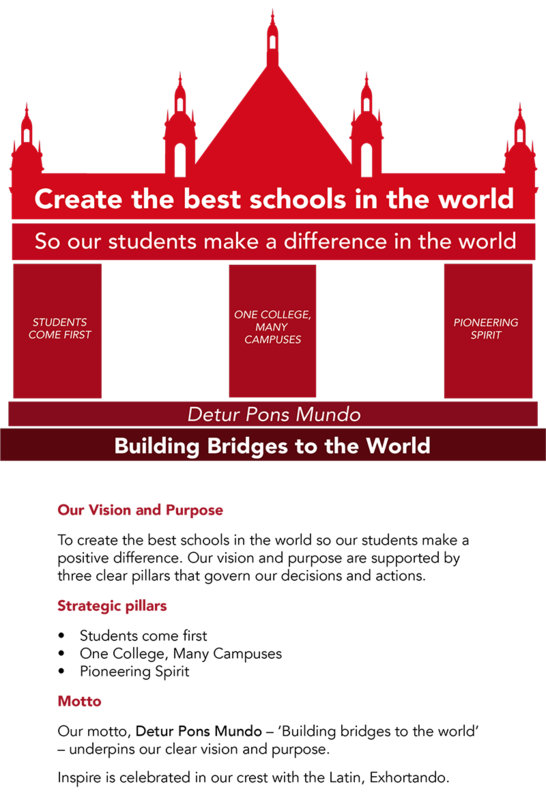 Dulwich College Shanghai aspires to be respected internationally as a community committed to developing individuals who see and act ethically upon the breadth of opportunity the world presents. Our balanced and varied approach to education seeks to attend to the intellectual, physical and emotional needs of the individual. The College therefore has a commitment to develop and extend ability and potential against a range of academic, physical and creative opportunities. We are looking to develop adaptable and resourceful citizens who appreciate the value of curiosity as much as knowledge, collaboration as much as participation and endeavour as much as achievement. Excellence is not only an expectation but an aspiration that governs all that we do here at Dulwich College Shanghai. Everyone has the potential to extend their capabilities providing they recognise the extent of their potential. We therefore offer a strong, supportive and secure learning environment built on frequent challenge and high expectation, which allows everyone the opportunity to reach beyond what is acceptable to that which is admirable. We believe that all individuals are capable of excellence providing they aspire to it, and this we challenge them to do. The College prepares all individuals to work effectively with one another and to cooperate as part of a community. We believe that close and compassionate relations inform successful collaboration, which is at the heart of any strong community. Furthermore, by offering individuals the opportunity to work together in a range of contexts we encourage them to recognise that adaptability is an essential part of successful collaboration. We have a particular responsibility to learn about and respect the culture of our host country China. The College encourages a compassionate and principled approach to acknowledging and appreciating differences in culture, gender, race, religion and sexuality. We value the different views and perspectives held by everyone in our community. Our community is built on strong personal relationships and initiative. We expect all individuals to respond to one another with understanding and respect. By promoting supportive relationships we aim to build a better community, which encourages individuals to assume the initiative and leadership required to make a decisive contribution. By celebrating our own cultural diversity, we strive to increase awareness of the world in which we live, preparing individuals to face the challenges that lie ahead. If we are to build bridges across the world, we must help all members of our community to become effective communicators who are respectful of differing customs and beliefs, whilst being at ease in a range of cultural settings. With careers and lifestyles constantly evolving, life is full of change. Adaptability, an appetite for life-long learning and the ability to take risks are therefore keys to success. We enable individuals to analyse opportunities, think creatively and act upon them in an ethical manner. The College aims to develop confident individuals prepared to take risks. We appreciate that learning is having the confidence to question as well as to conclude. We believe that learning is a journey of exploration, experimentation and discovery. The College provides a supportive and stimulating learning environment that encourages, challenges and inspires the individual to be an active learner.